Dear friends, still watching boys, Jacki is home. Here is my mom holding Alayna. What a wonderful photo! She is a little beauty!! Lovely picture! Memories are made of this. What a wonderful photo! So full of love! All the best to you all! Oh how tiny and precious! Congratulations to you all!! yes for sure derrick! How are the newlyweds? hahaha darn! I thought that would make a lovely photo of the gorgeous couple! Aw, the triple great-grandma!! What a bunch of joy she holds in her arms!! What a gorgeous photo Lyn. 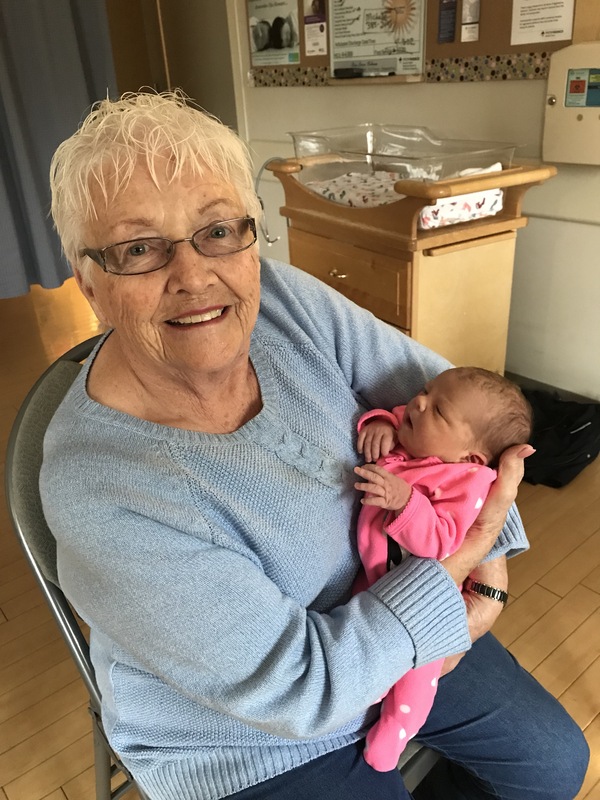 Beautiful picture of your mom and her first great granddaughter. You are all so lucky to be sharing these happy moments together.